With the two spots seemingly occupied by different teams every week,​ it is anyone's guess as to who will win the race. And that is what Sky Sports pundits Gary Neville and Jamie Carragher attempted to do, as they summarised the chances of each of the four teams. Speaking on Monday Night Football, Neville said as quoted by ​The Mirror: "I look at Tottenham’s fixtures, I have to say that’s obviously the one [vs Manchester City] that stands out, but if you look at ​Arsenal’s fixtures you’d say they have the best run-in as they don’t play against any of the top teams. 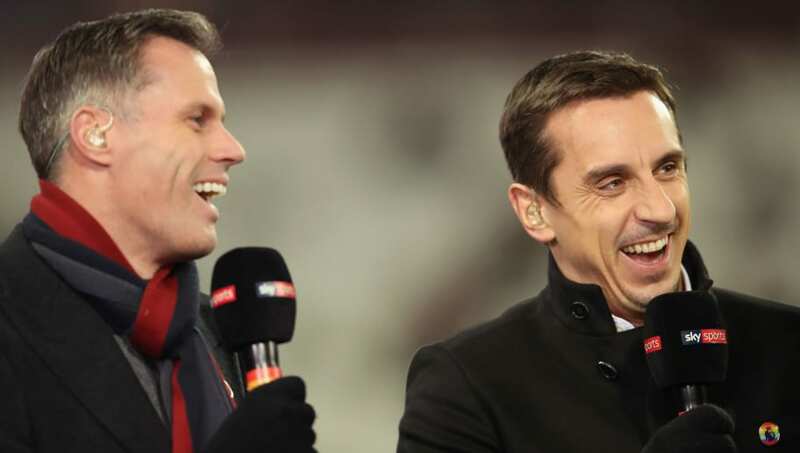 Carragher supported the former Man Utd player on this by saying: "Arsenal have better fixtures than ​Chelsea and ​Man United but I’d be surprised if Arsenal won more than one away game." Neville added: "For the moment I think ​Tottenham will finish third because they have the four home games and they’re the ones I think that can accumulate the points", to which the former Liverpool defender agreed.